I love Valentine’s day, and all the pink and red, and flowers and candy. 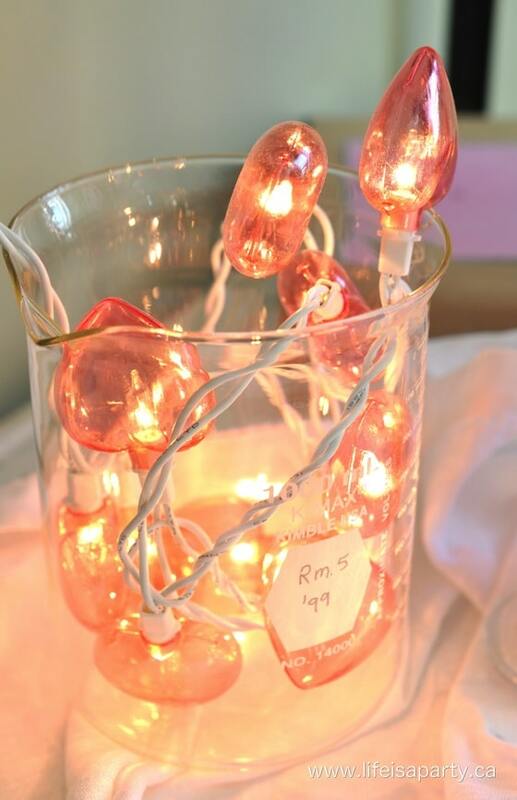 On a recent trip to Michaels, I noticed the cute glass test tubes, and my creative wheels started turning. 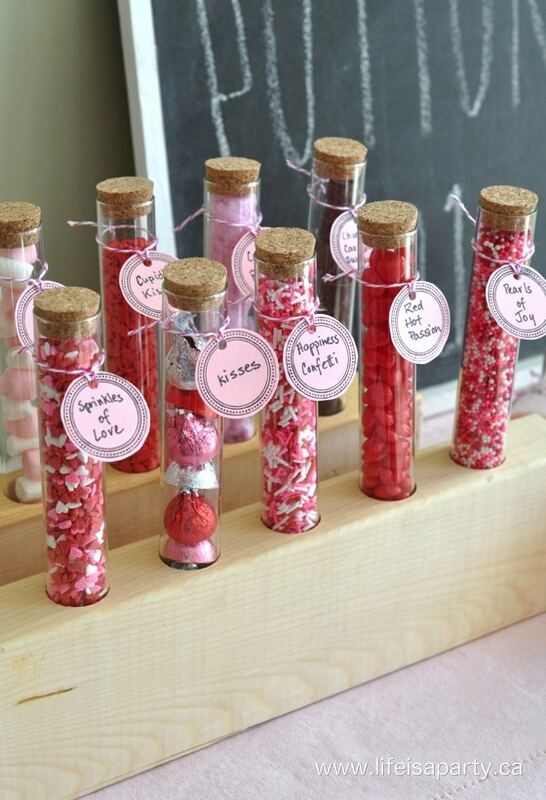 Test tubes made me think of science, and science made me think of love potions for Valentine’s Day. 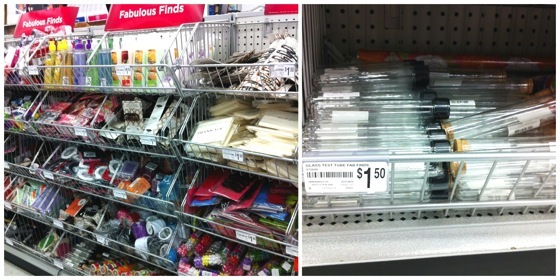 If you’re in Michaels look for the test tube in the Fabulous Finds bins, and they’re only $1.50 each. 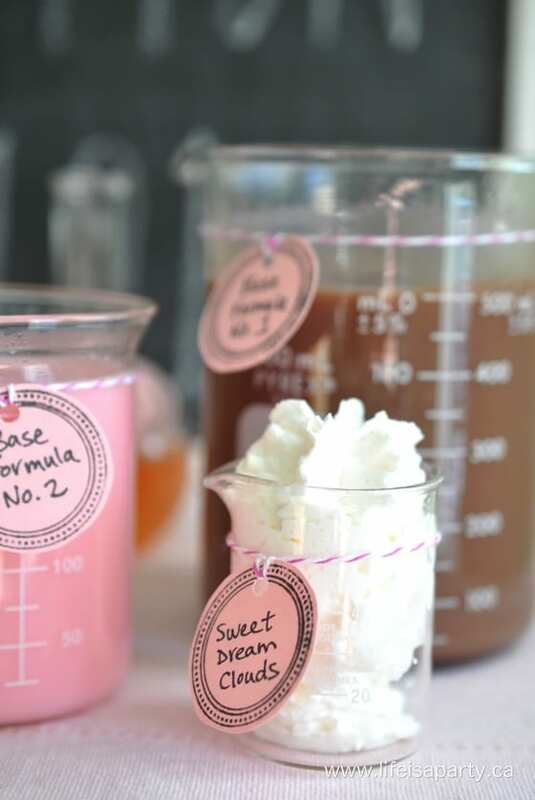 I decided to fill my test tubes with all different kinds of fun hot chocolate add-ins. 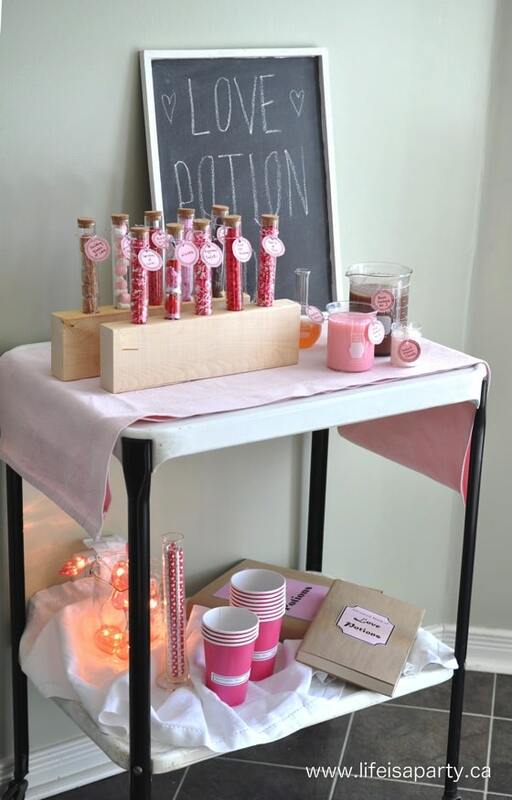 We picked up all the fun treats at the bulk store, and then made up fun names for everything, so they sounded like good ingredients for a love potion. 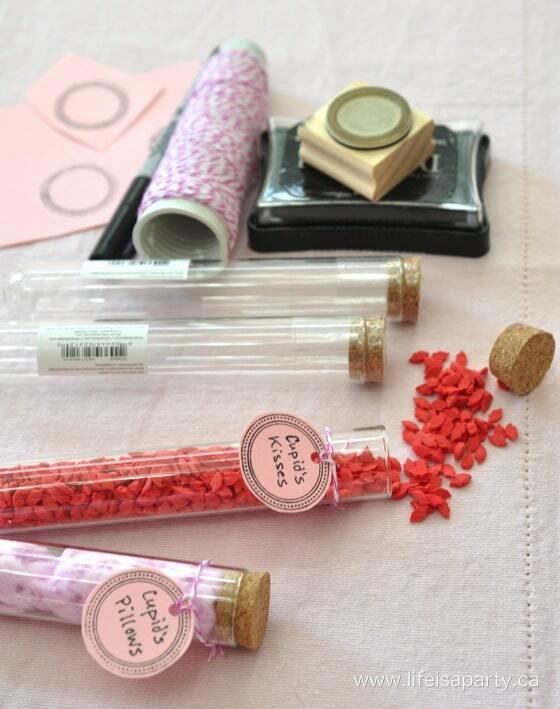 The labels are made from some pink card stock and a stamp, and tied them on with a little pink baker’s twine. They came out looking so cute. I wasn’t too sure how I was going to stand the test tubes up, but came up with the idea of a simple wood stand. My sweet brother-in-law Shaun helped me out by drilling 1 inch holes in some 2 x 4’s, and it worked out perfectly. 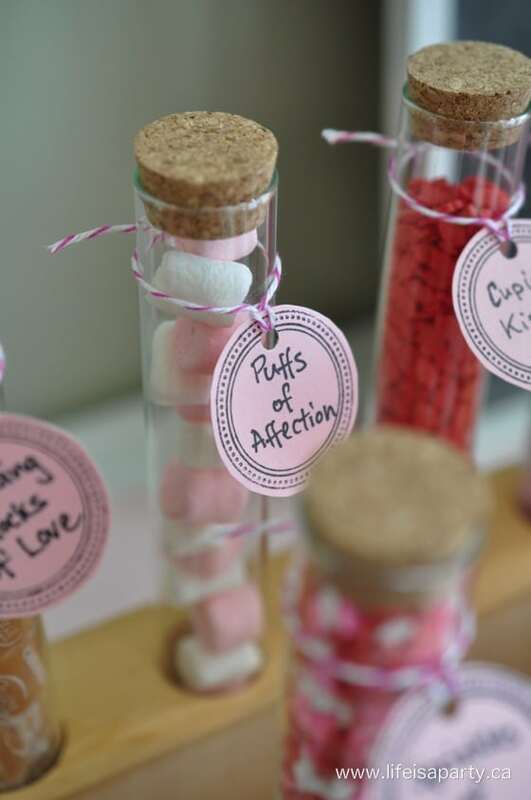 I used ten different candy add-ins and here’s what I called them, in case you need some ideas for your own love potion. 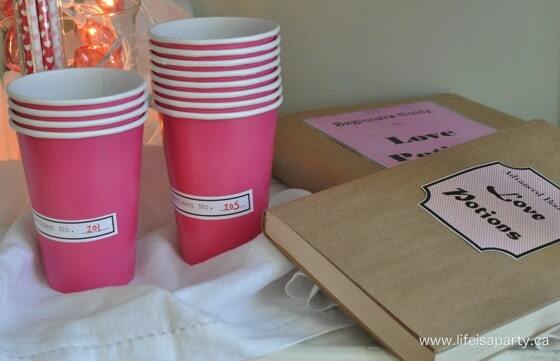 I was also able to find some science beakers and filled them with the hot chocolate and a few other treats. 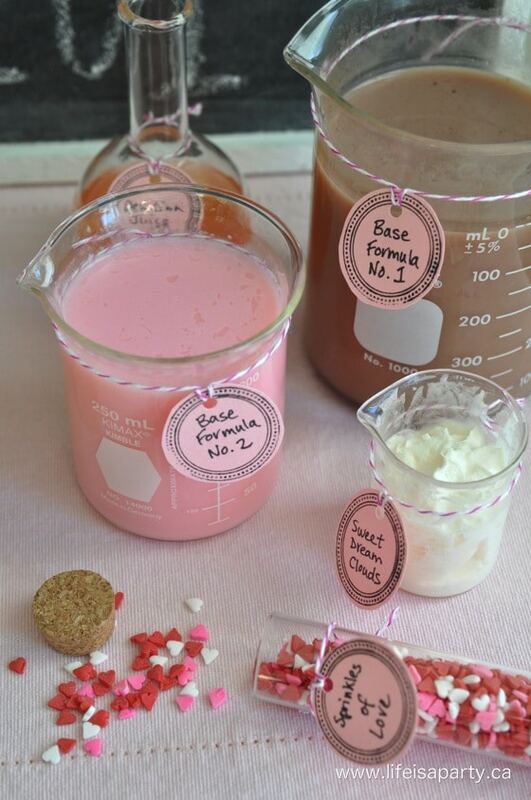 I labeled the hot chocolate “Base Formula No.1”, and made some pink hot chocolate with some white hot chocolate powder and a little red food colouring, and labeled it “Base Formula No. 2”. 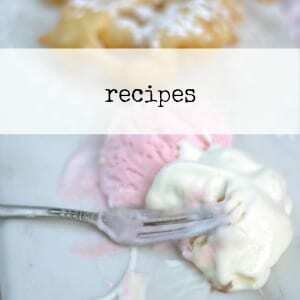 I also added some whipped cream, labeled “Sweet Dream Clouds” and a little juice called “Devotion Juice”. On the bottom of the cart were some paper cups and straws. 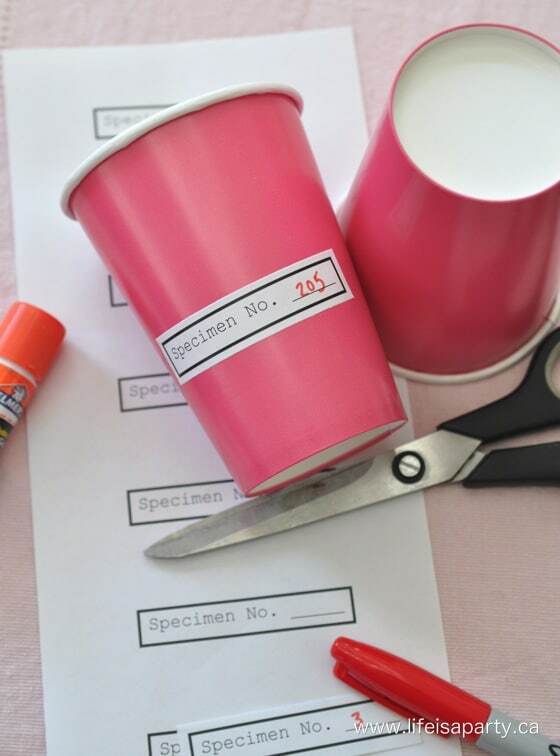 I picked up some pink paper cups and customized them with a “Specimen No. 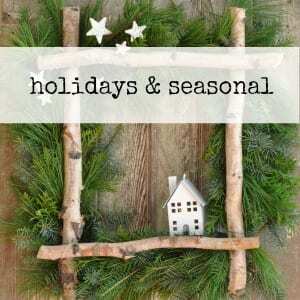 ___“ label. The labels are attached with a glue stick. I made a free printable of the cup labels, you can download it here, and print it for your own love potion. 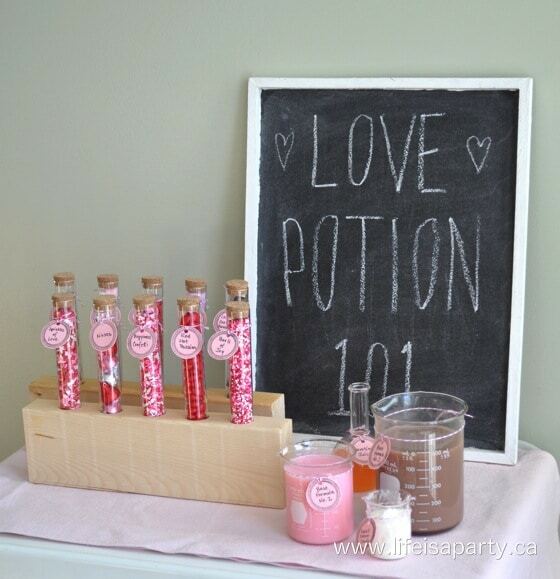 I thought it would also be fun to include a few love potion books. Using some old books, I covered them with brown paper, and added some fun labels to the fronts. 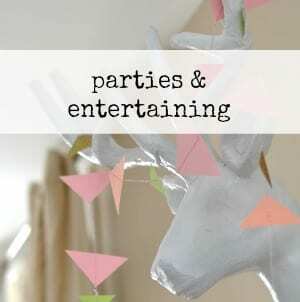 You can get the free printable here, and add them to some of your books for a fun prop. 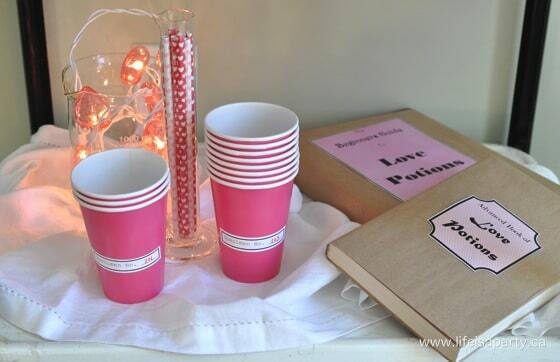 I put the pretty heart paper straws in a tall science beaker, and filled another large one with some heart lights. 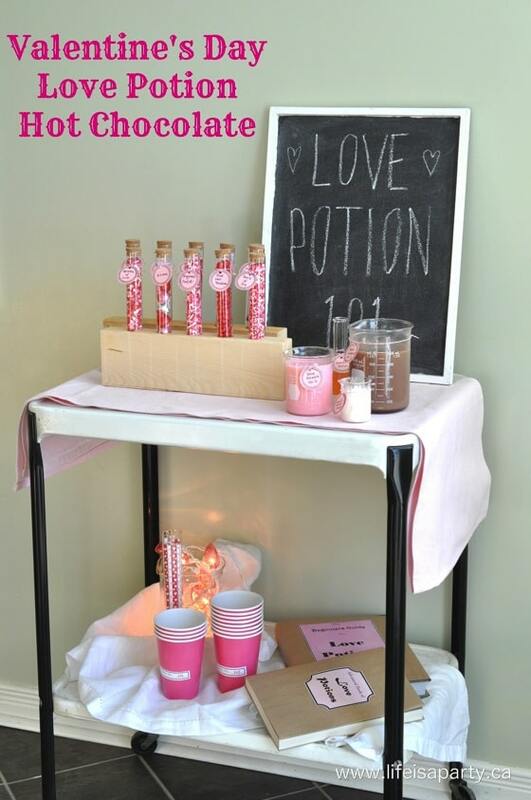 I had so much fun putting my little love potion making hot chocolate bar together. 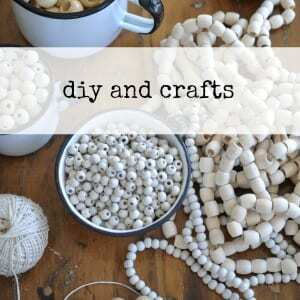 If you’re looking for an activity that your kids are guaranteed to love, this one’s a winner! 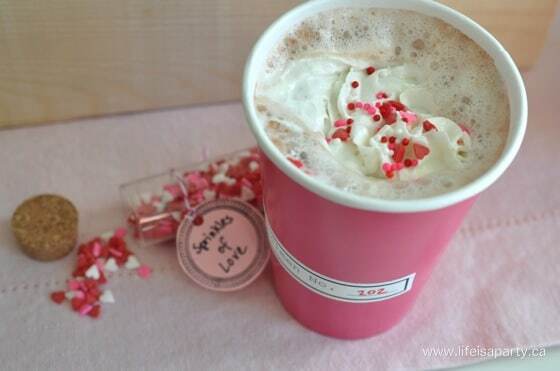 With love potion hot chocolate, life really is a party! 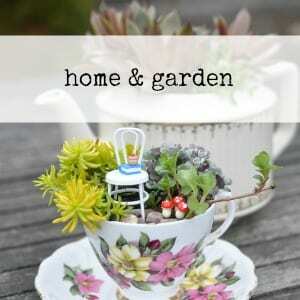 I just had to share a “feel good ” comment on here to tell you that you inspire people….. Tonight at the monthly flower arrangement club one of my favourite customers told me that she follows your blog. 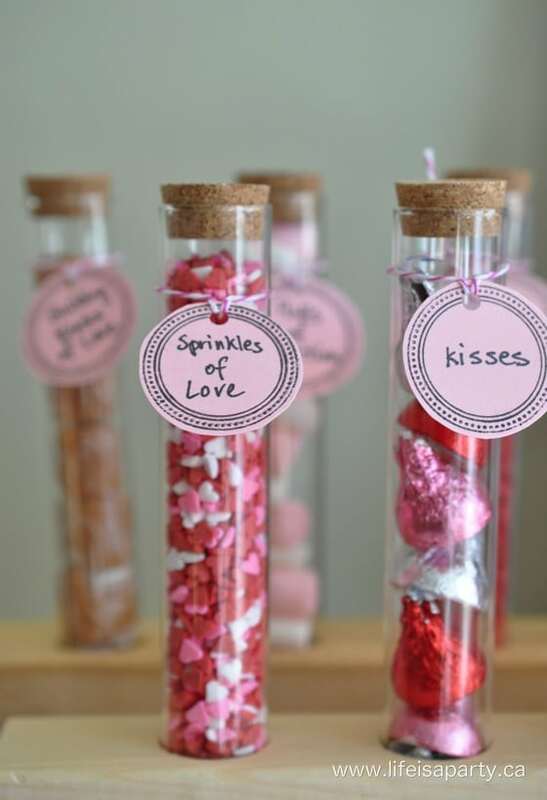 She told me in great detail how she used your post to make her own Valentine’s Day tubes filled with treats to take to her daughters work to surprise her and her colleagues. She used your example and it was a great hit!! She was so pleased it made me proud of your blog and all your terrific ideas. !